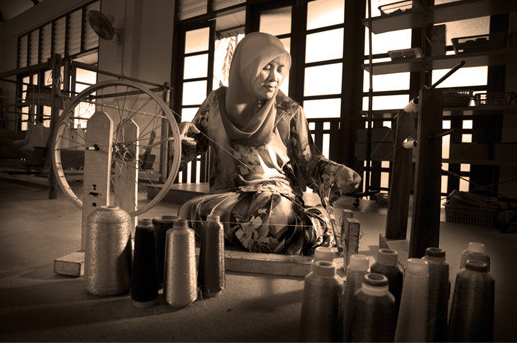 Songket weaving can be divided into a list of processes. Planning the design and pattern structure of the songket to be woven. Dyeing the hanks of threads on to the bobbins. Unwinding the hanks and winding the threads on to the bobbins. 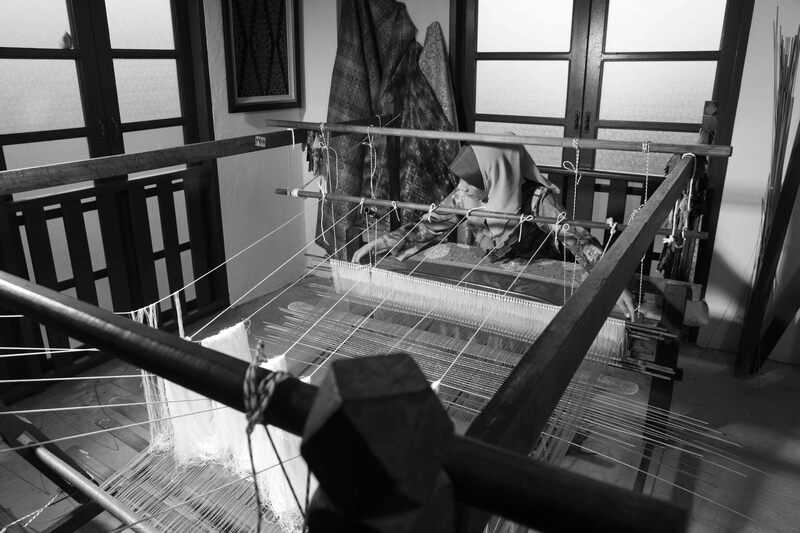 The threads are counted, as they are measured at the same length using a warping frame. Rolling the wrap threads on to the rolling beam to spread the warp and give proper tension before putting up on the loom. Sleying the reed of the beater using a reed hook—for front to back set up. Connecting the individual warp threads to the threads coming through the reed/beater – for back to front set up. Warping up the loom using back to front method is a common practice. 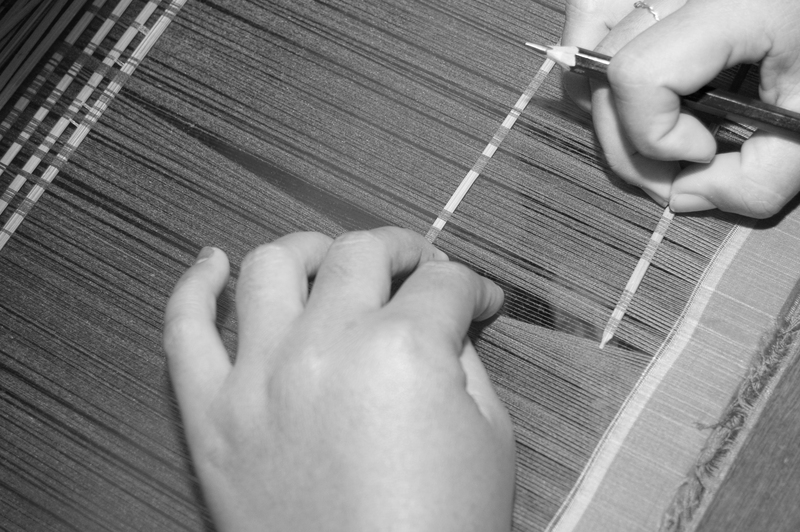 Making the string heddle frames while simultaneously threading them to form the weaving shed. 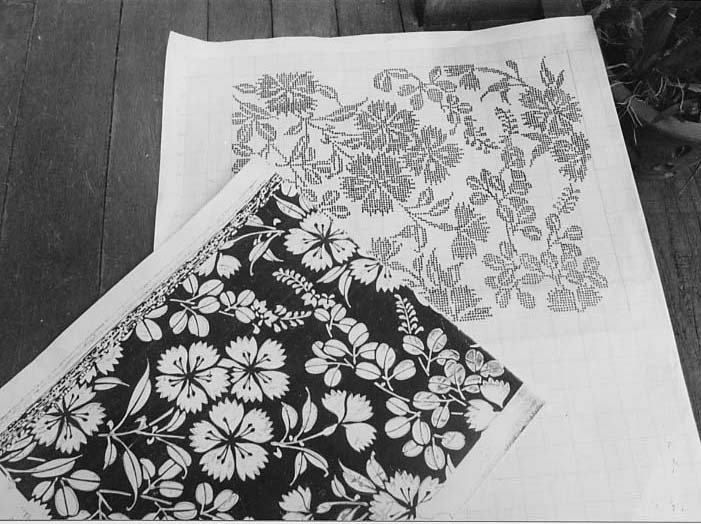 Picking up the pattern by inserting long stick—line by line using draft paper as guide. 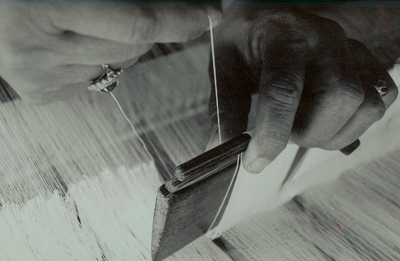 Tying the hand string loops leashes lifted by the sticks to store weft patterns at the back of the loom. 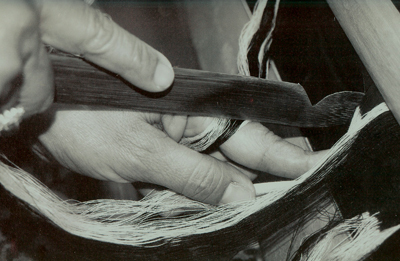 This ingenious process allow more than 1000 line of weft pattern to be stored. 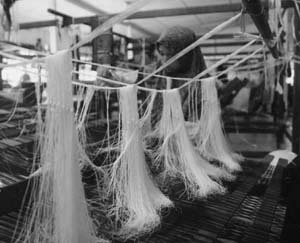 The weft thread is inserted between the shed across the warp using a shuttle then the cloth is hit by sliding the beater / reed at a perfect right angle of 90 degrees.